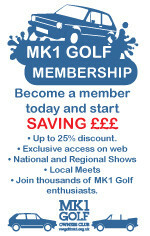 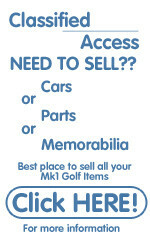 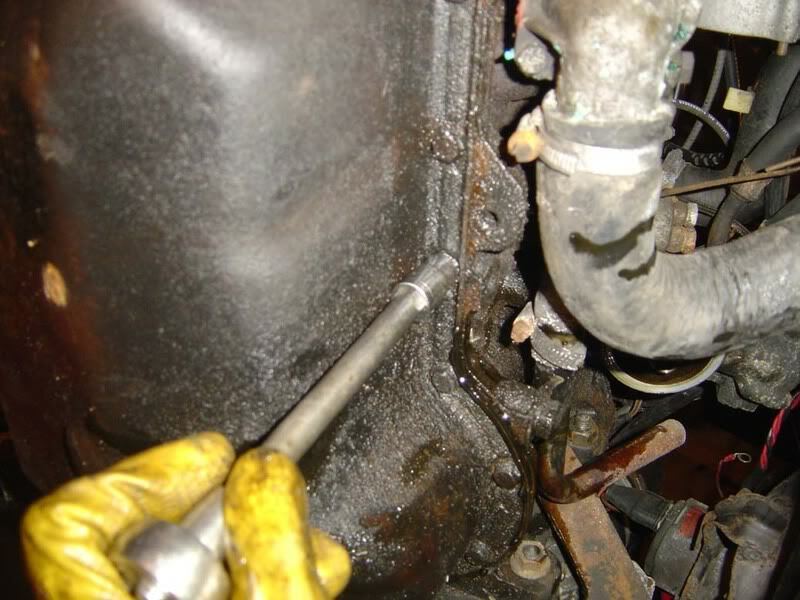 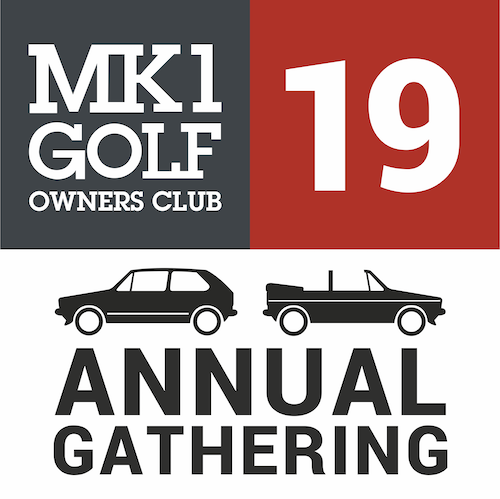 Home Mk1 Golf Owners Club Wiki Technical Guides Changing your oil and inspecting your oil pump. 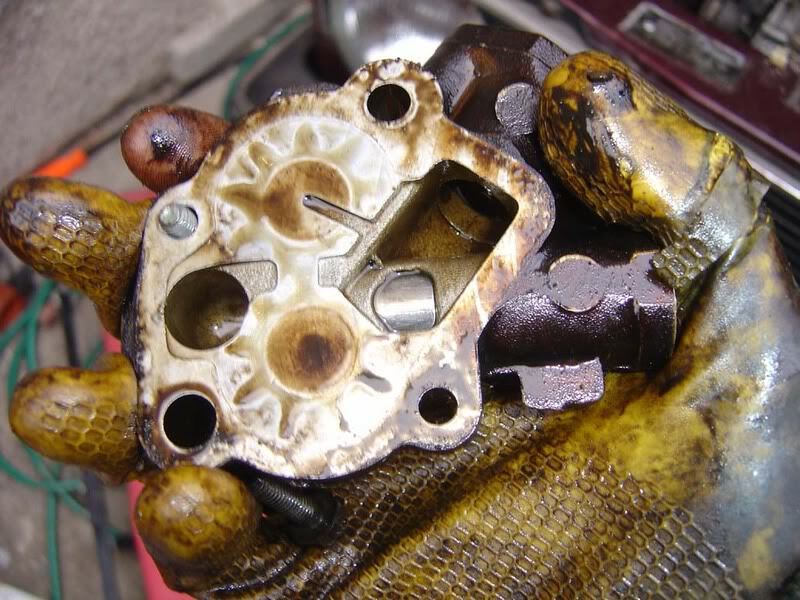 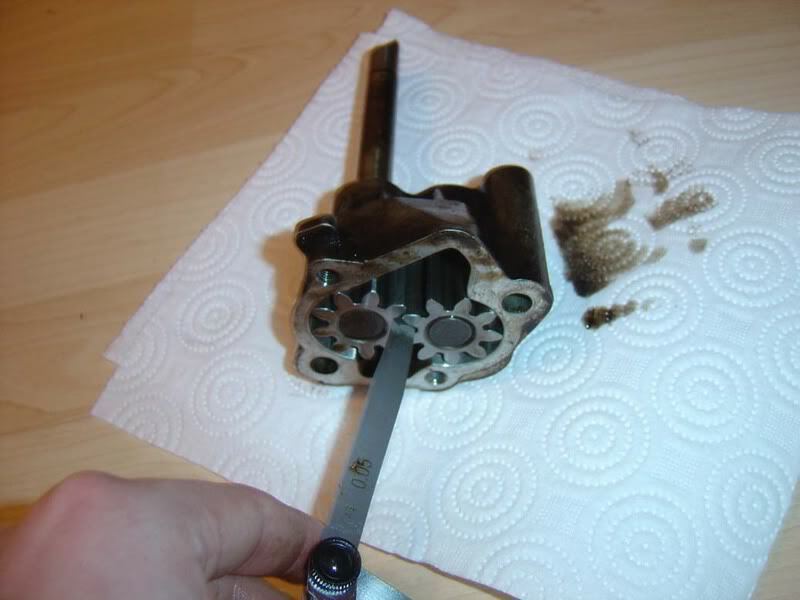 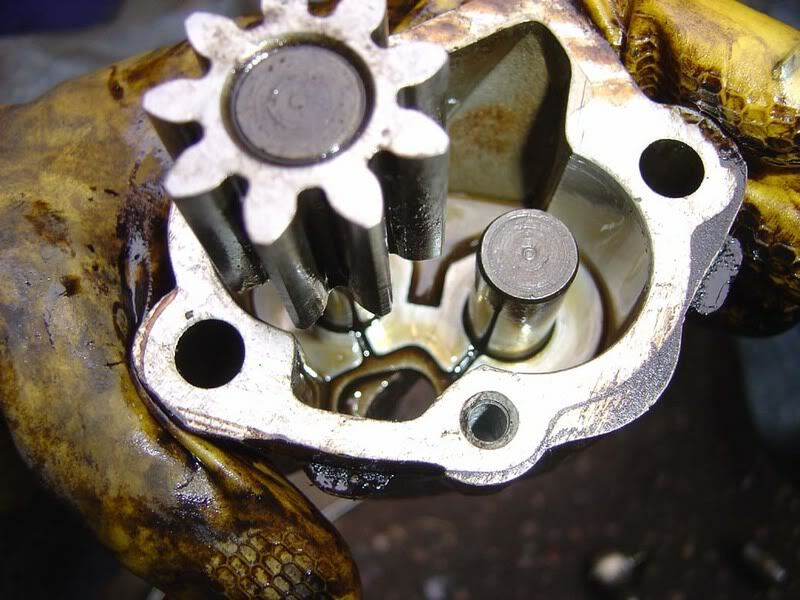 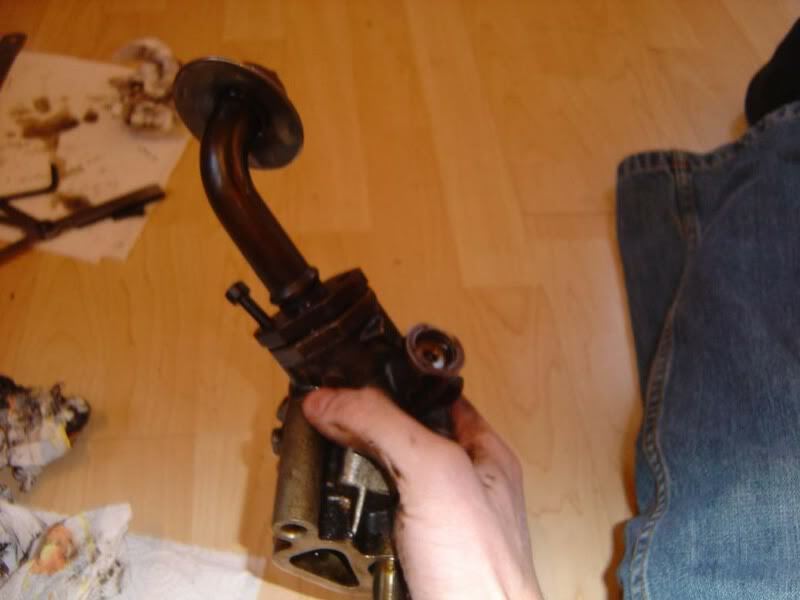 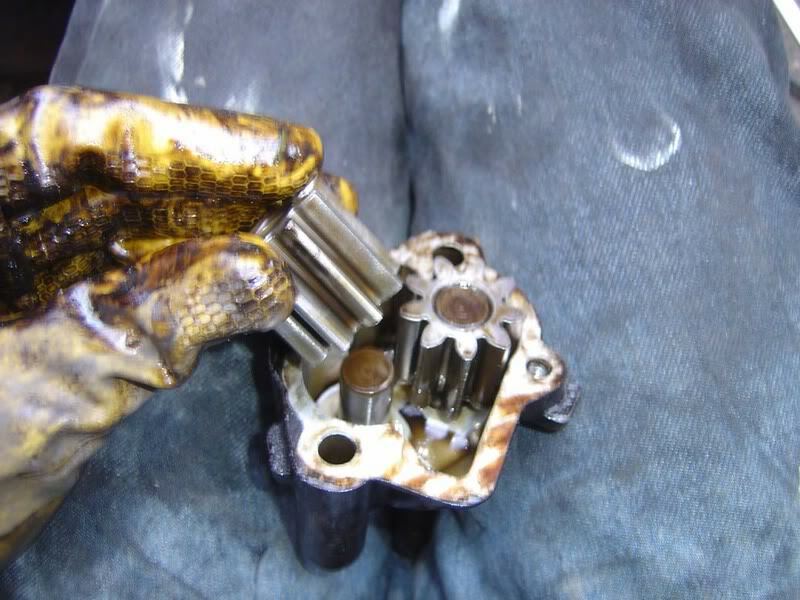 Changing your oil and inspecting your oil pump. 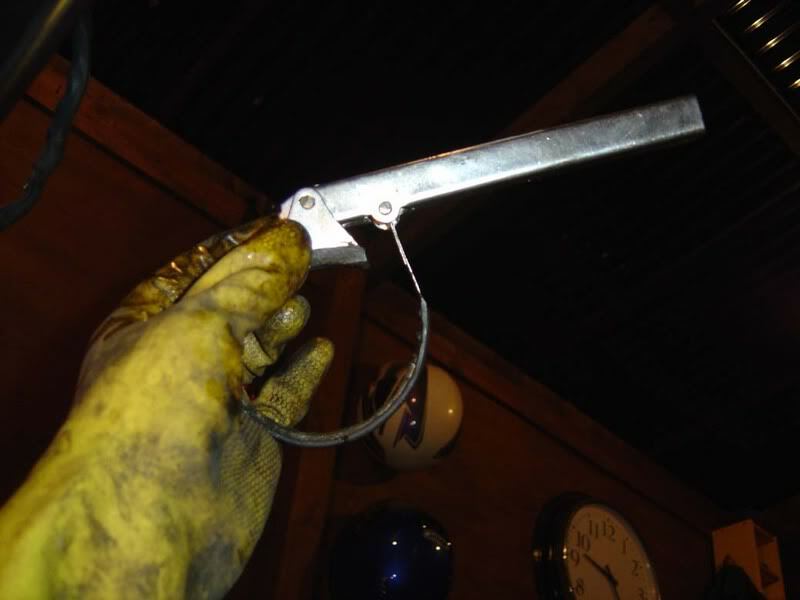 Submitted with thanks by JSeaman. 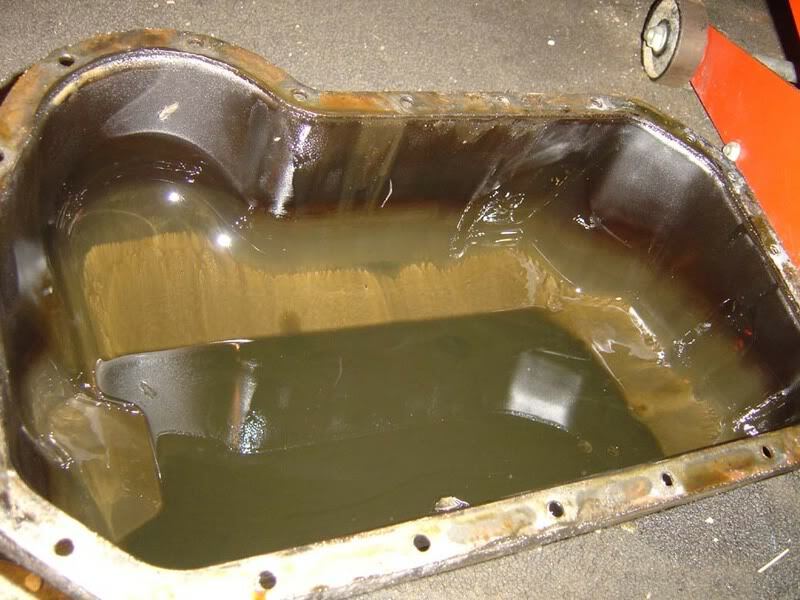 If you run out of coolant you overheat, run out of oil and your engine will be destroyed. 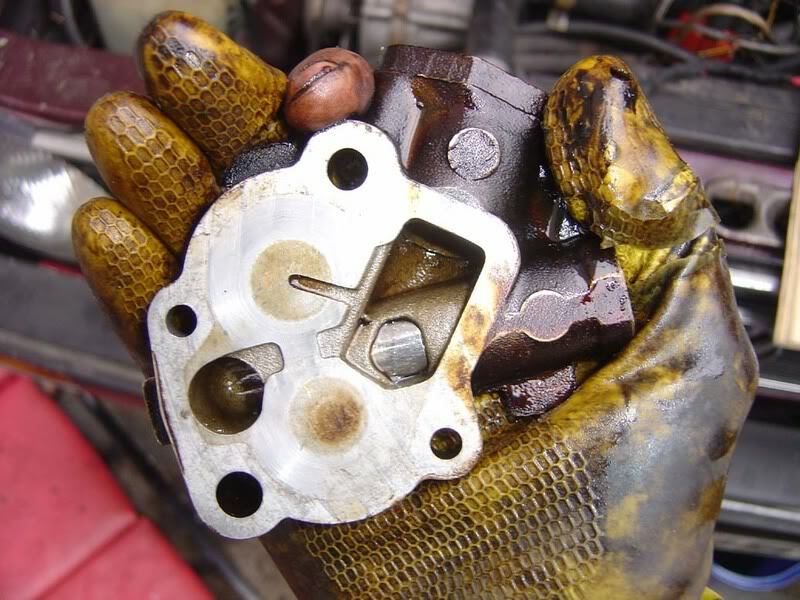 Needless to say the oil system shouldn't be neglected. 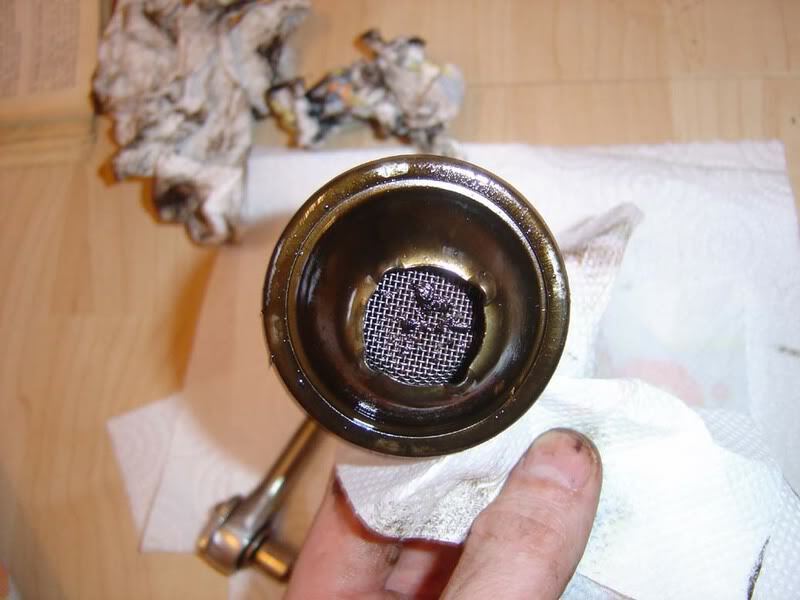 You should change your oil and filter regularly (at least every 12 months) and check for leaks at least once a month. 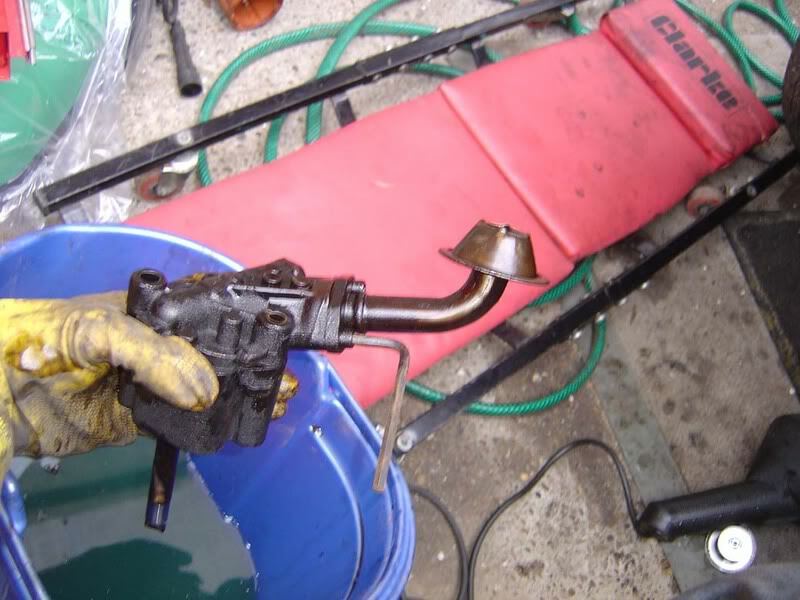 Preferably get in the habit of checking your oil weekly and chack for any signs of leaks at the same time. 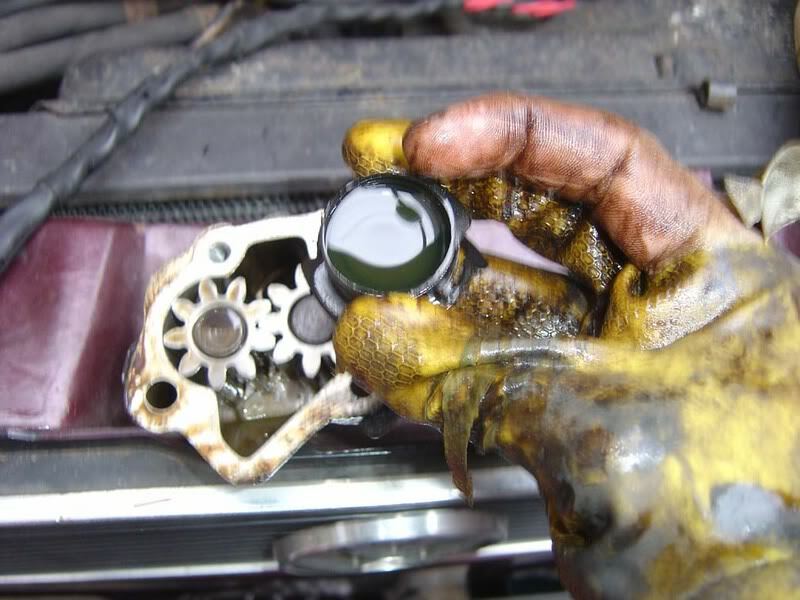 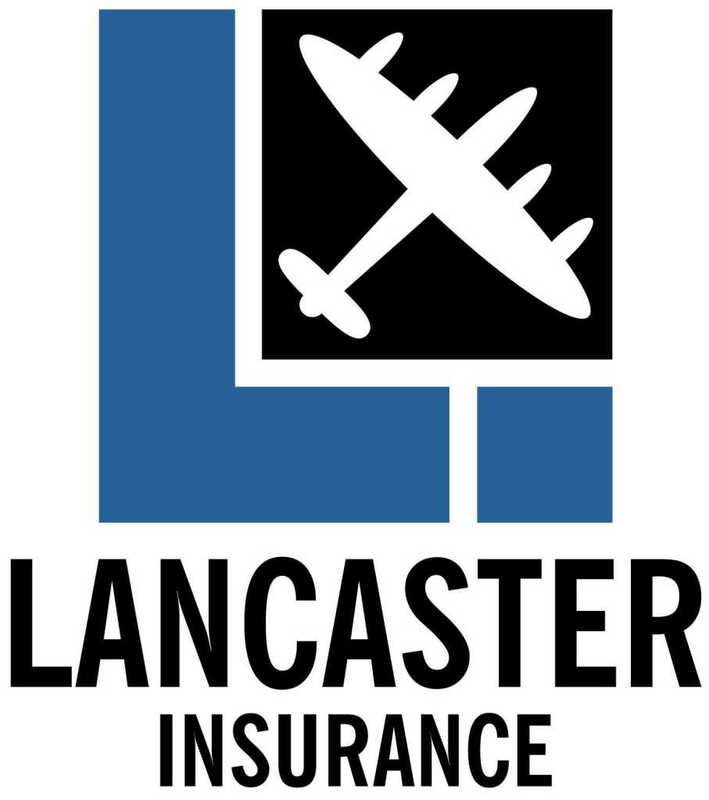 By the time your oil warning light comes on it may already be too late so don't neglect this. 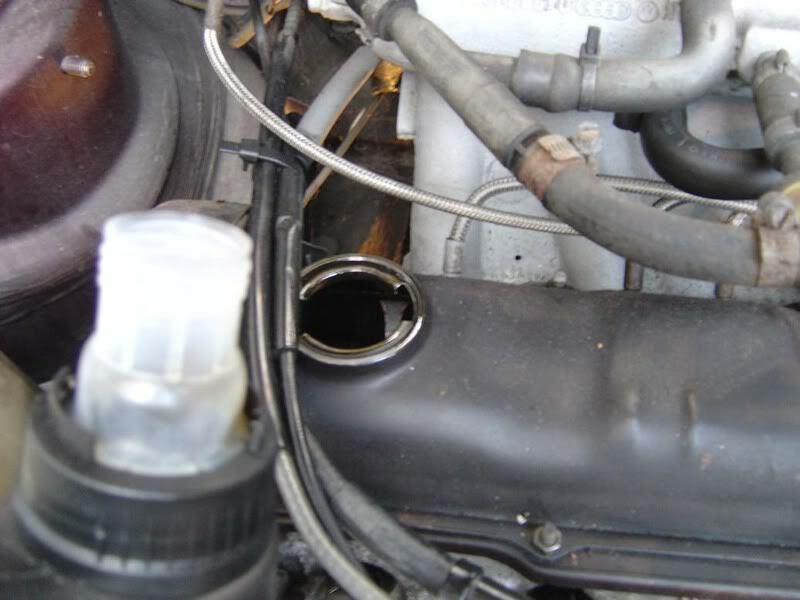 Step 6 - If your filter is stuck you can get a filter wrench (such as that shown in the first picture), which slides over the housing (picture 2) and allows you to free it off. 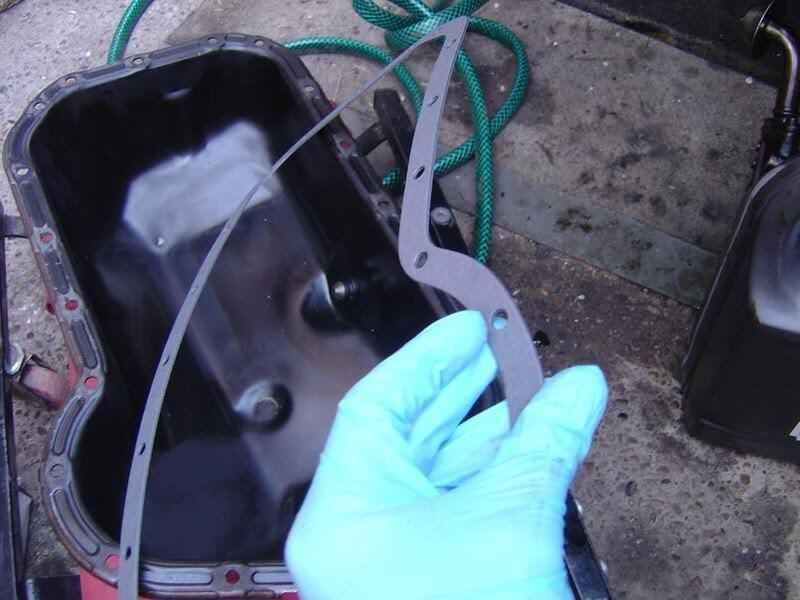 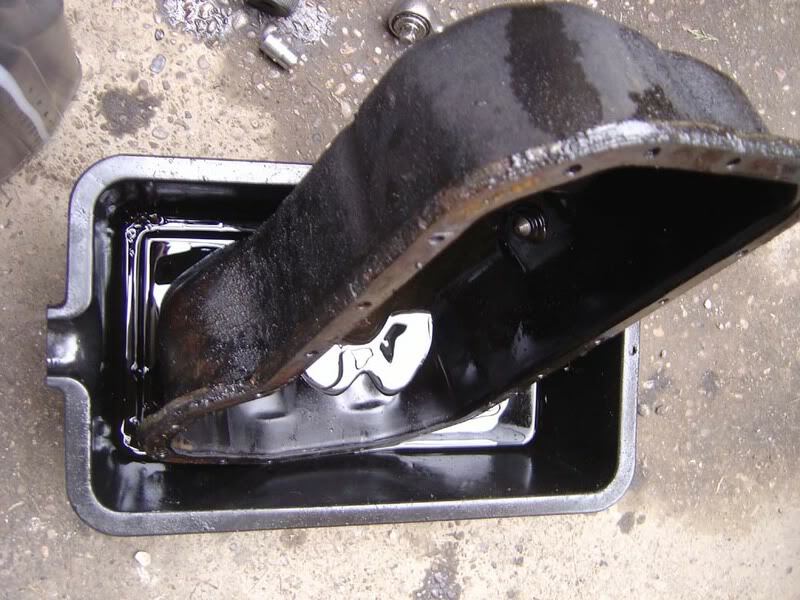 Step 12 - Empty the oil you've gathered into a suitable container and dispose of it at your local garage/refuse site. 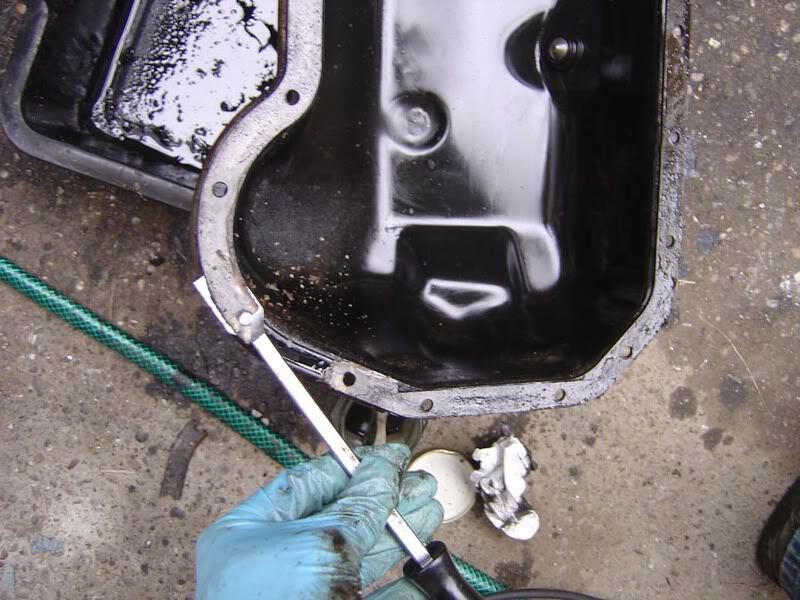 Whilst you pour the oil, inspect closely for any signs of metal or grit which could point to internal problems. 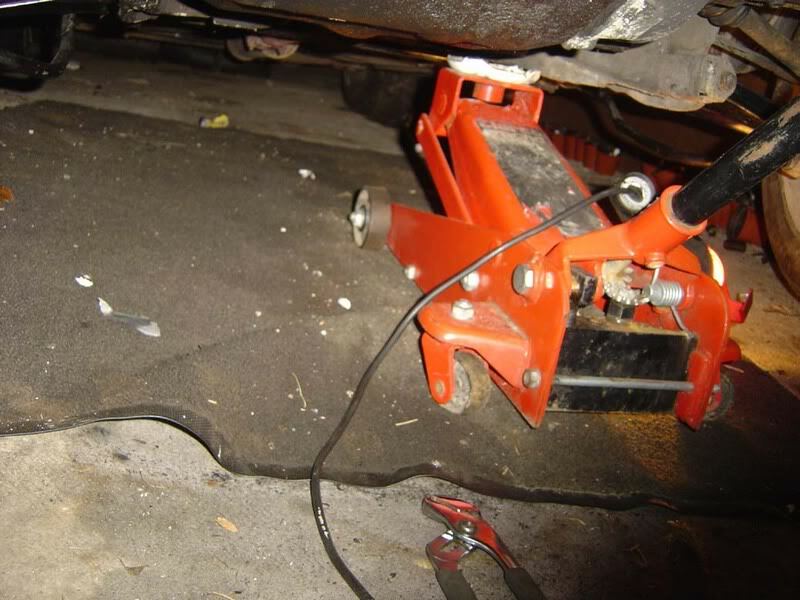 Step 14 - There are a couple of awkward bolts so I suggest you start with them. 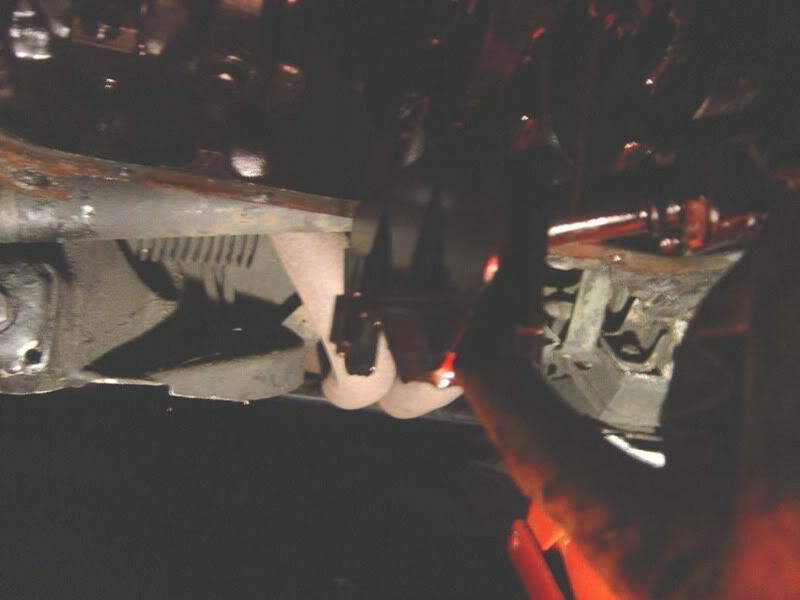 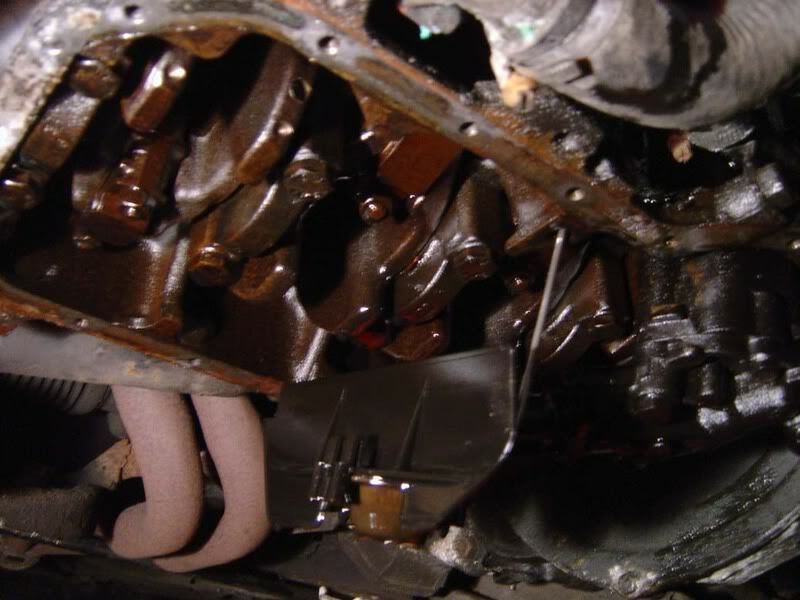 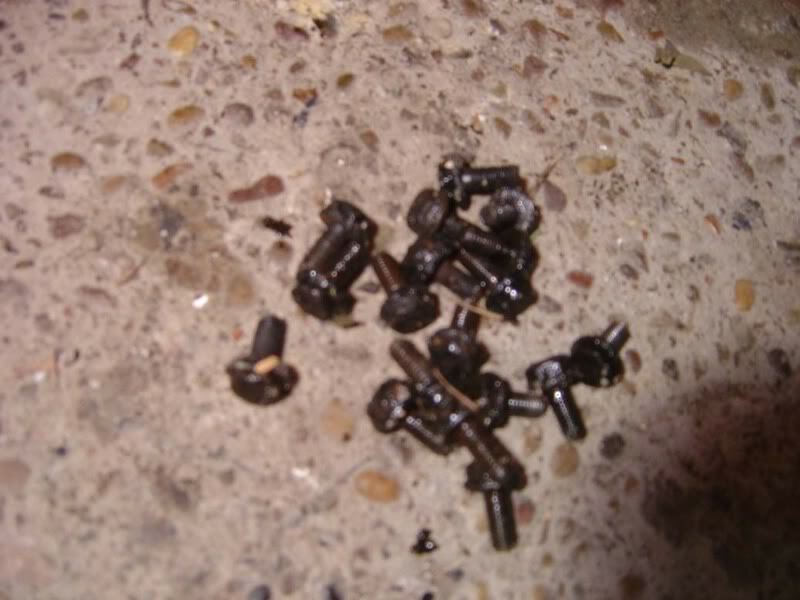 They are found where the engine meets the bell housing (gearbox) and there are 4 bolts. 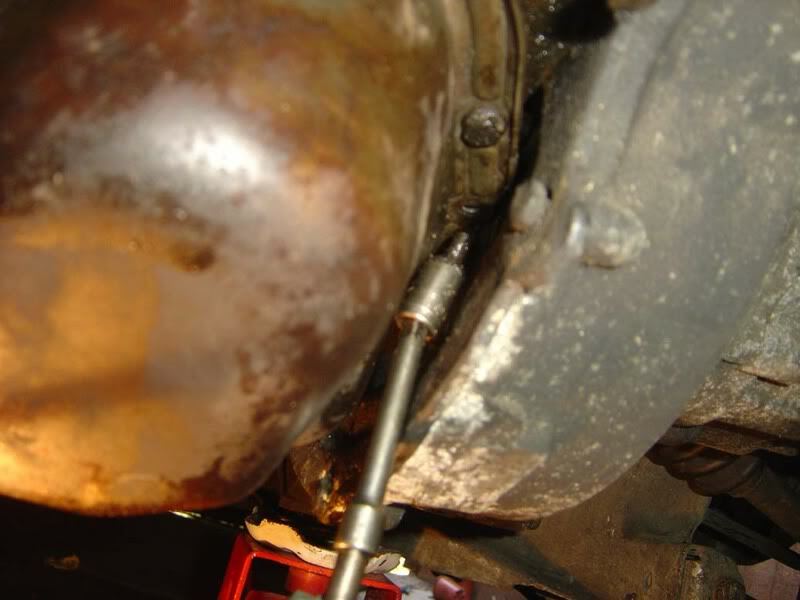 The two nearest the perimeter of the engine are OK to get to with a 1/4" drive ratchet and extension bars (1/2" will be tight so get a small wrench) but the inner ones are a little more awkward. 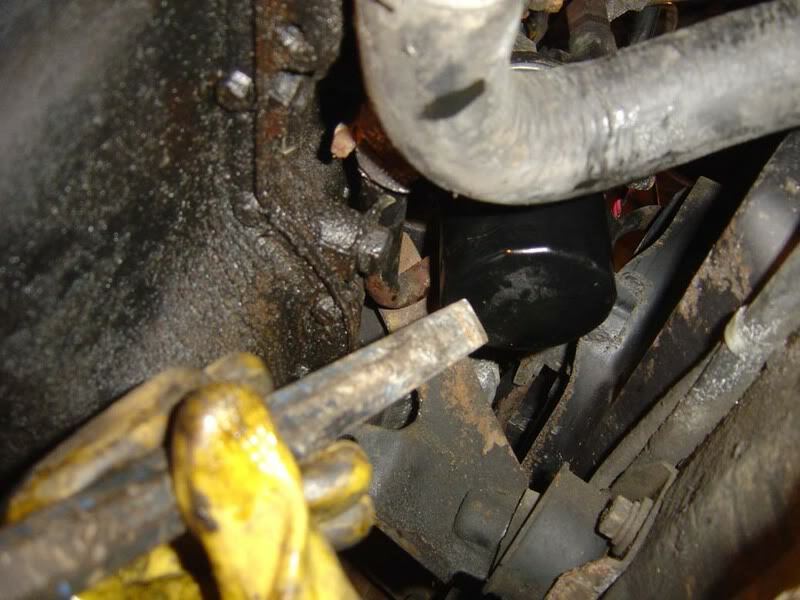 The way I dealt with them was to get the 1/4" ratchet and rest the socket on top of the extension bar but not click it into place (picture 1). 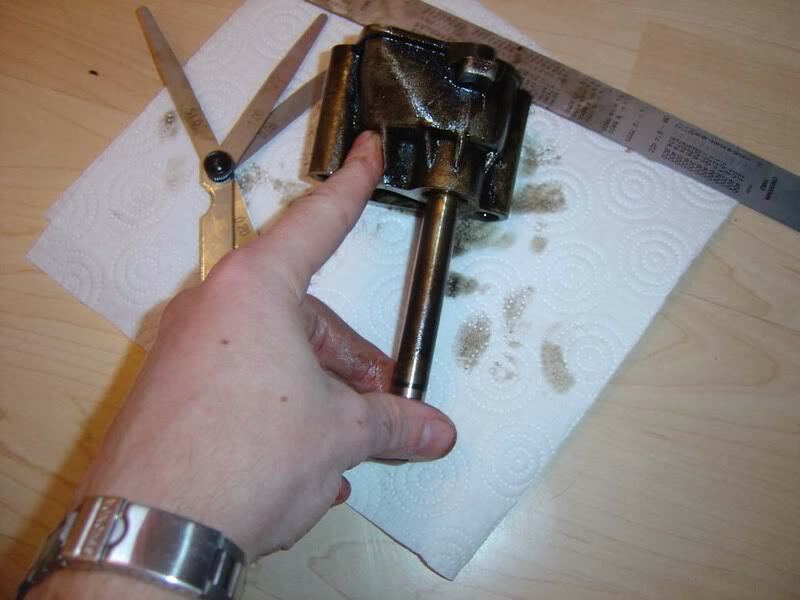 Slide this up over the nut and use a flatblade screwdriver to encourage it into place (picture 2). 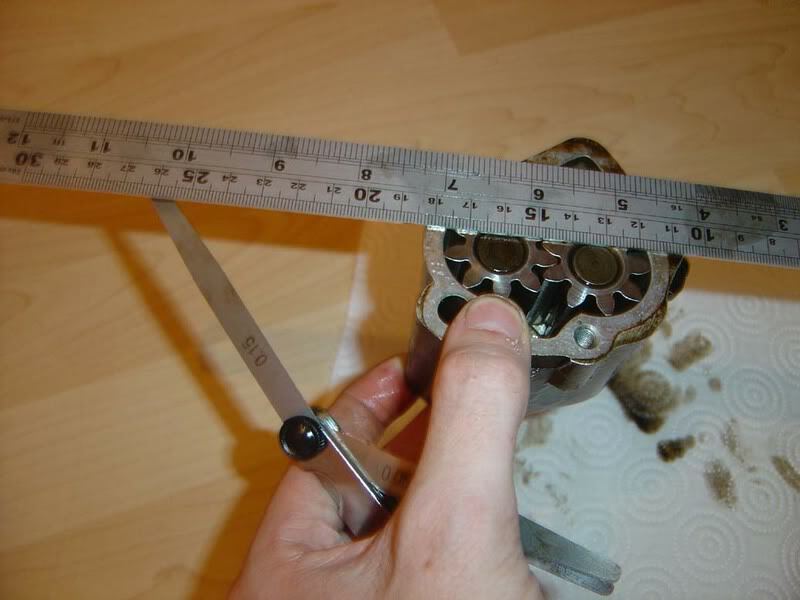 Then you can attack the nut at an angle and shoudl be able to remove it OK.
Alternatively buy a tool with a bendy extension on it and the job would be a lot easier! 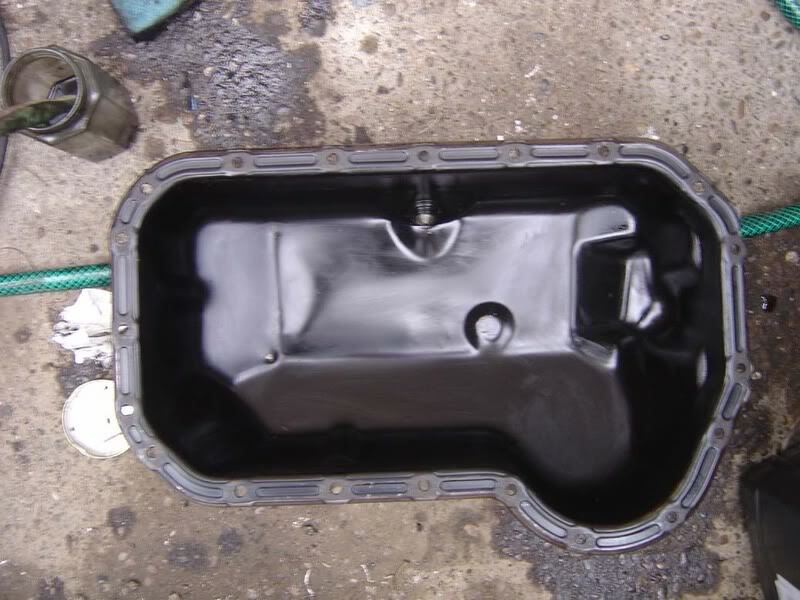 Step 16 - With the sump lowered you should find there is still some oil remaining (bottom left of the pic). 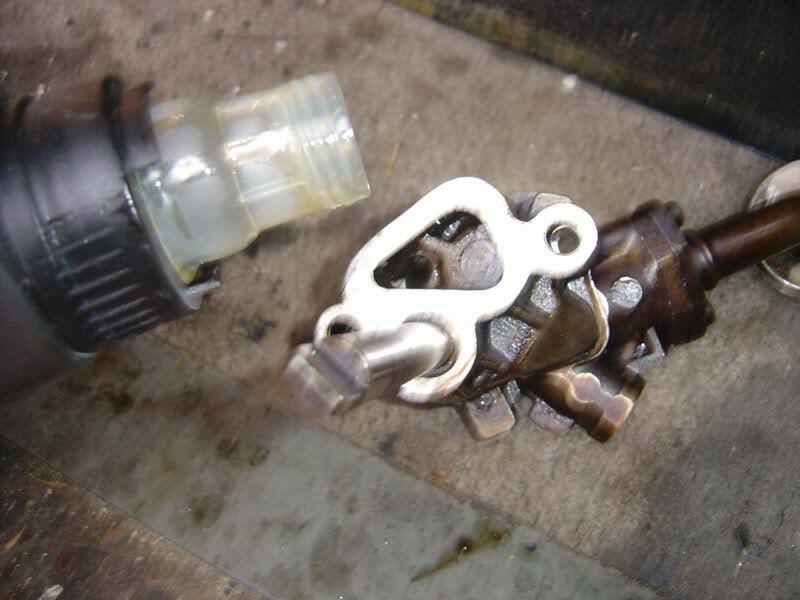 You never change all the coil (there's still some in the engine too) so regular changes are the only way to refresh it all. 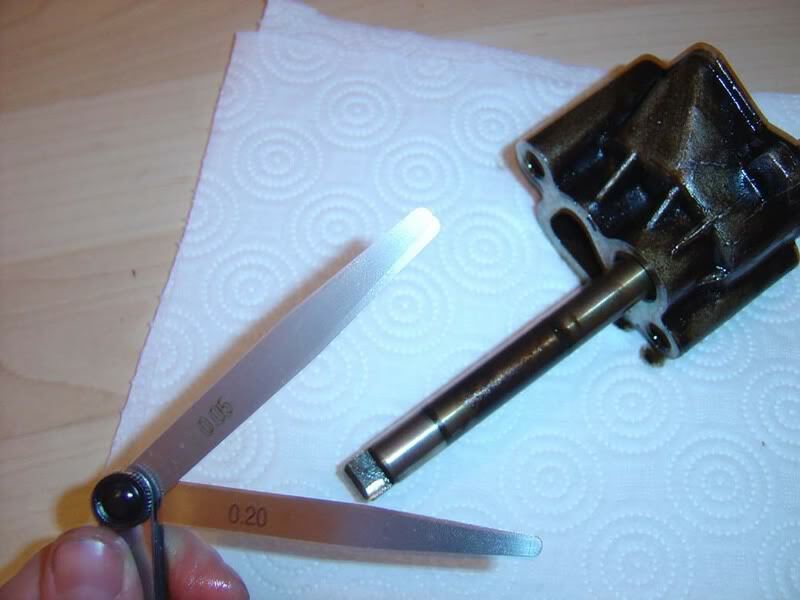 Step 25 - The golf's pump is a 'gear type' whereby a spindle goes to the engine and drives one of the cogs (the top one in the picture) which forces the second cog to also spin. 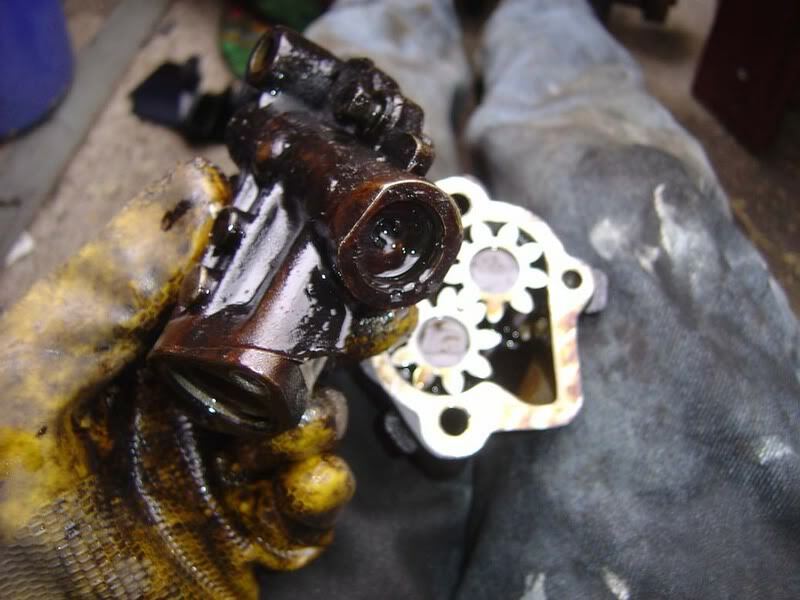 As the gears mesh together they spin round and pick up the oil which feeds from the right hand side's inlet port. 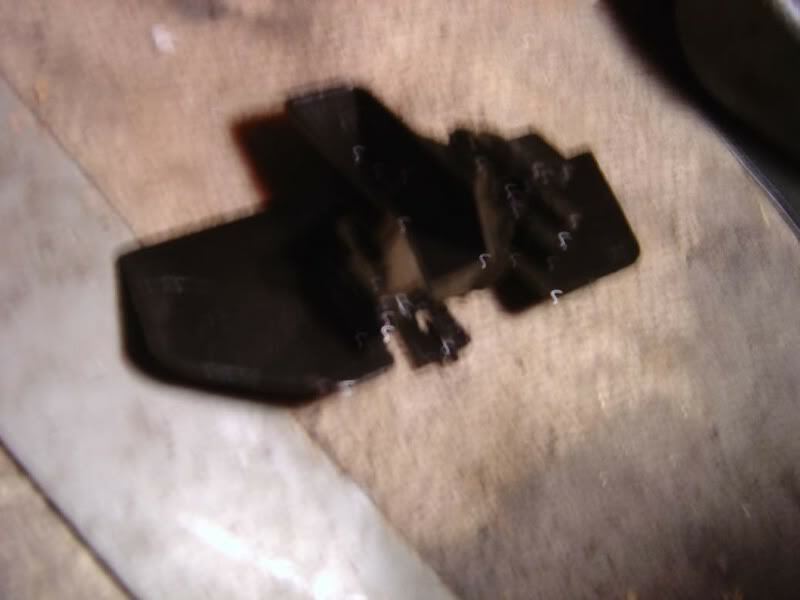 This is pushed round the housing (there is a very small clearance between the housing wall and the gear teeth) and pushed out of the outlet port where it is pumped around the engine. 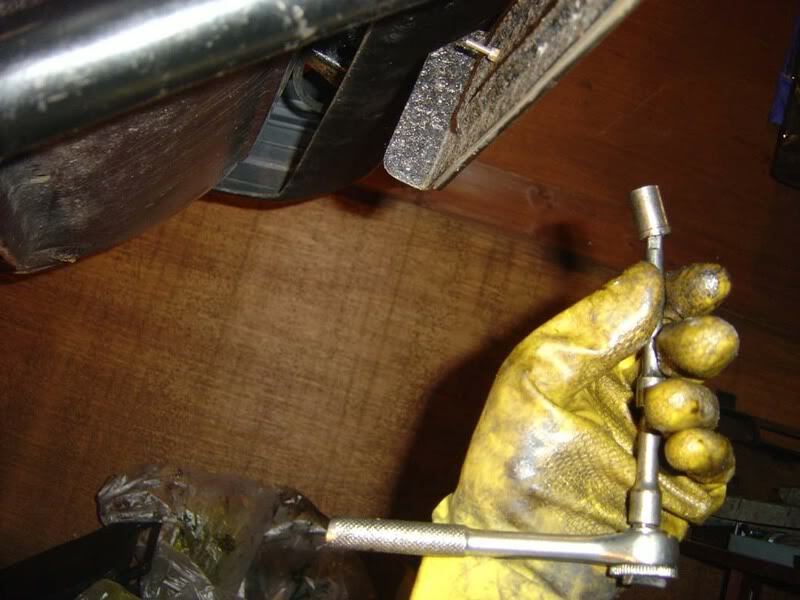 Step 37 - Re-fit the allen key bolts holding the pickup onto the housing. 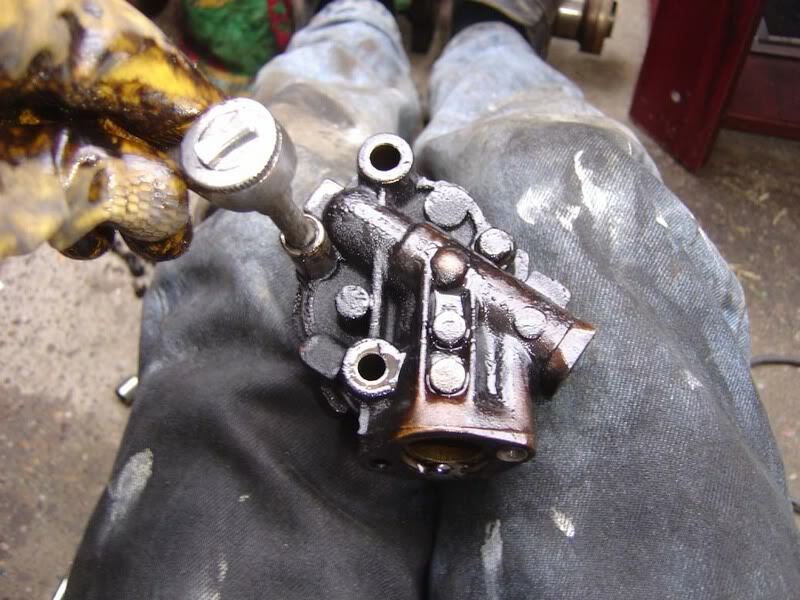 Make sure you get it the right way round! 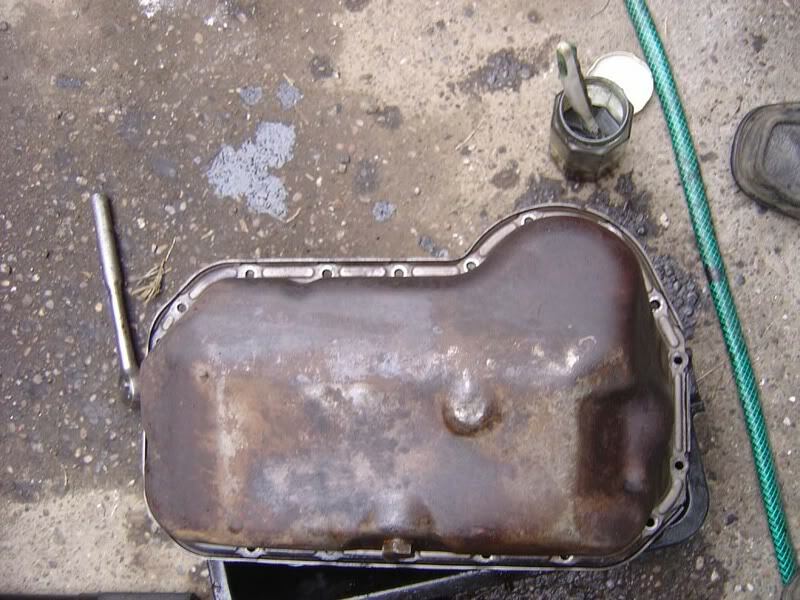 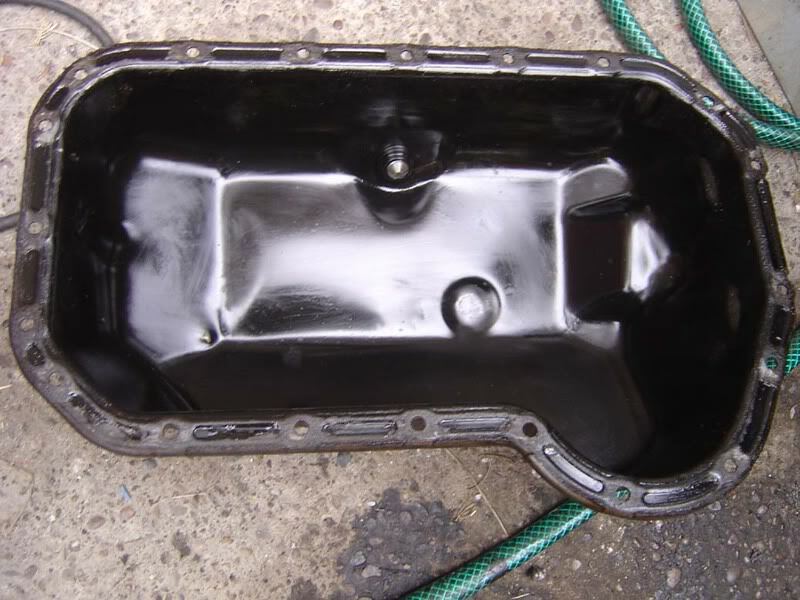 Step 40 - While the sump's off you might as well give it a clean. 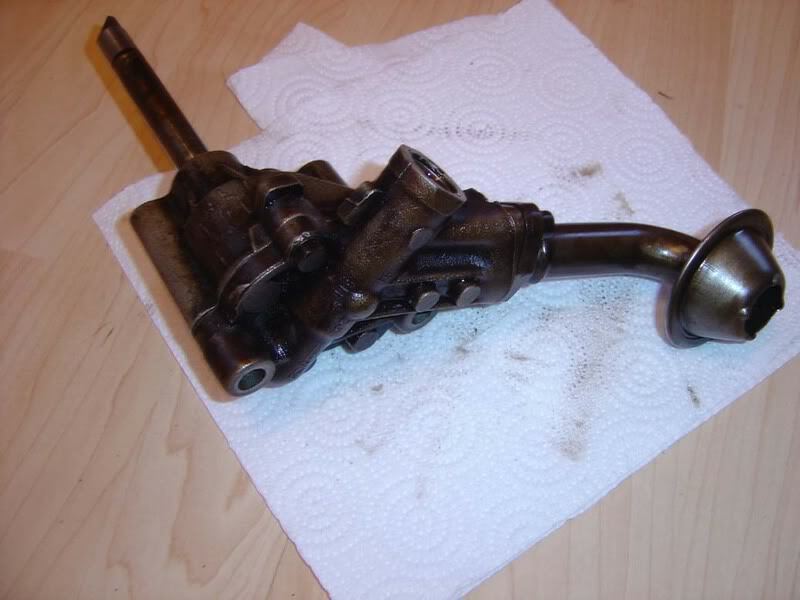 If it's anything like mine it will be covered in oil and dirt. 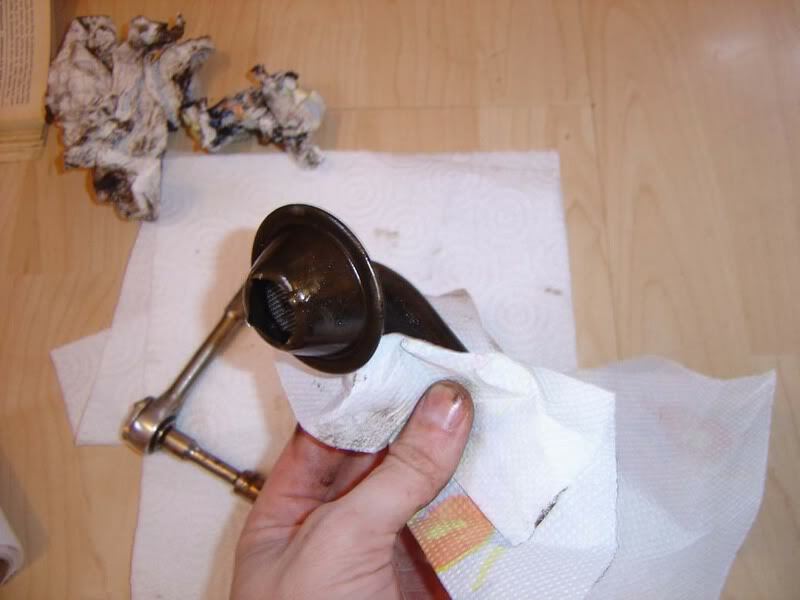 Apply petrol liberally with a toothbrush to dislodge the dirt and then kitchen towel should clean it up. 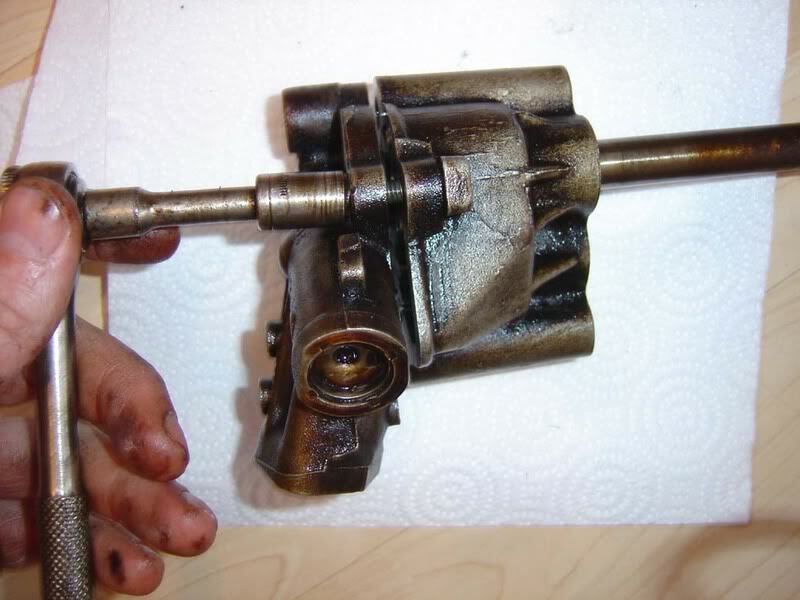 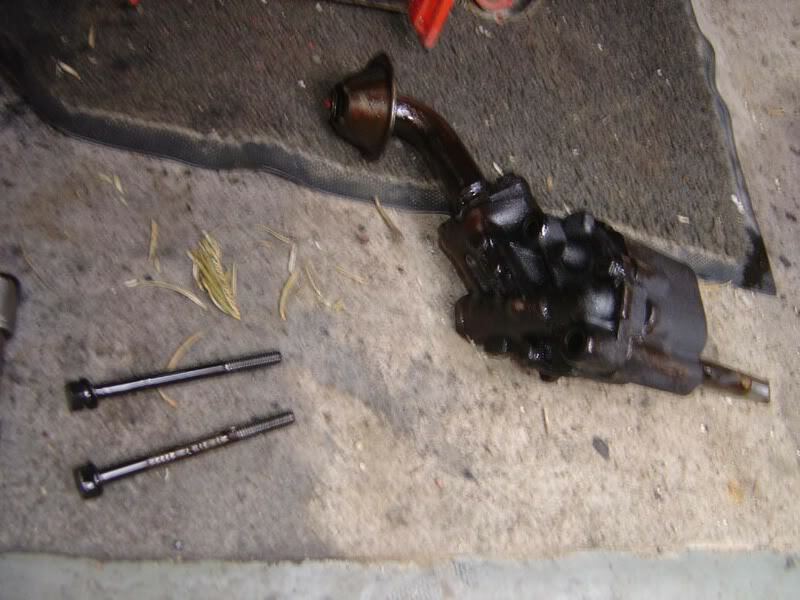 NOTE: The guide for the oil pump is for those who have a good reason not to spend the ?50 ish on a new pump. 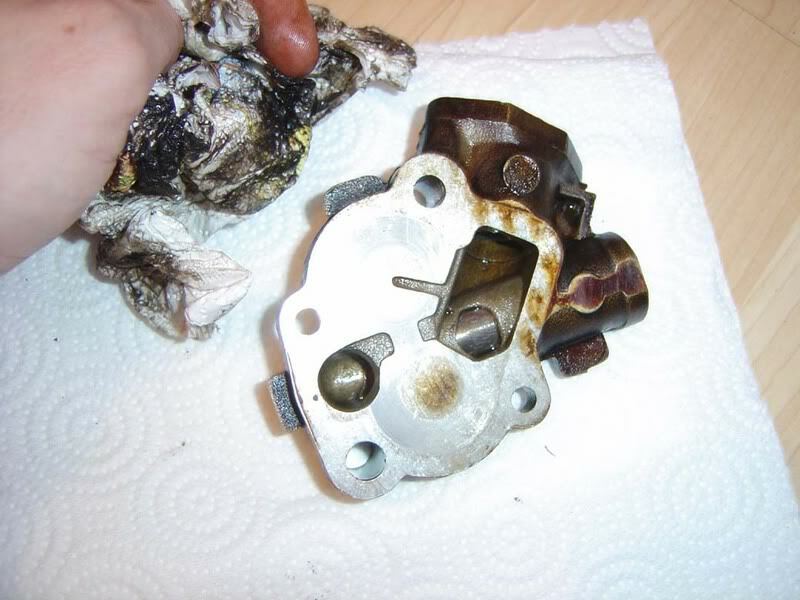 If there is any doubt at all about the condition of the pump then it is worth replacing it. 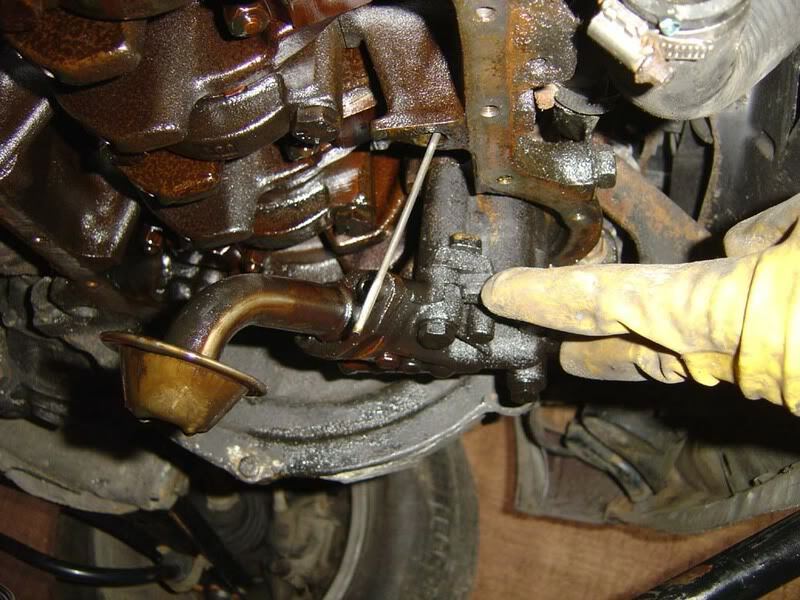 Don't cut corners here or you will regret it. 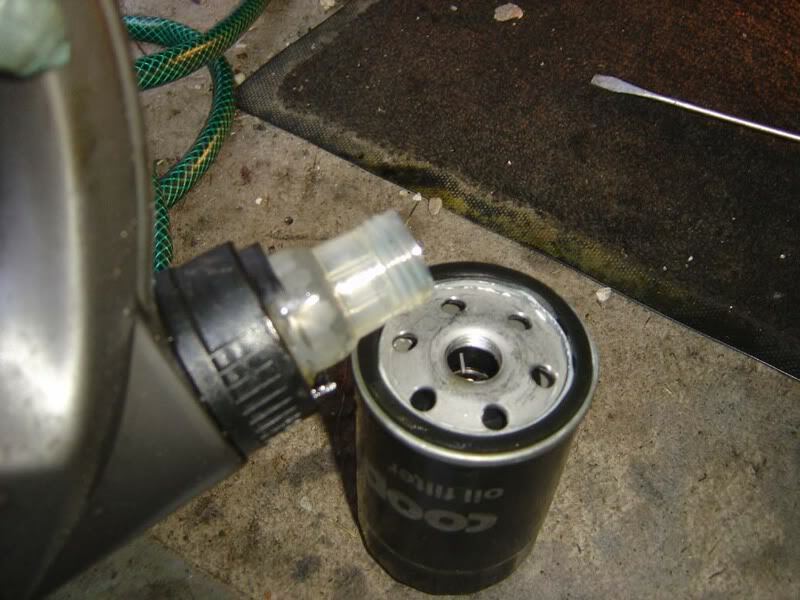 Step 45 - A member asked if I could include this step in the guide which is something I never normally do but I couldn't think of a good reason not to so here it is. 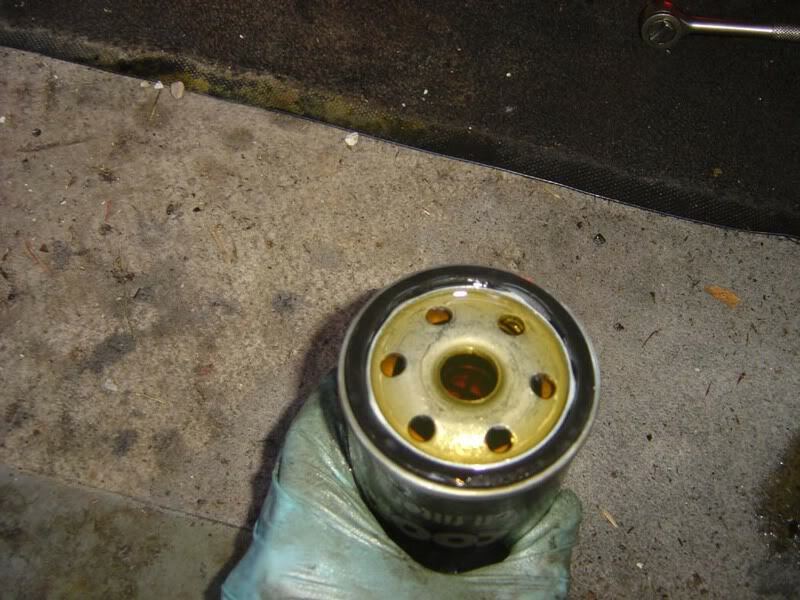 Fill the new filter with fresh oil prior to fitment. 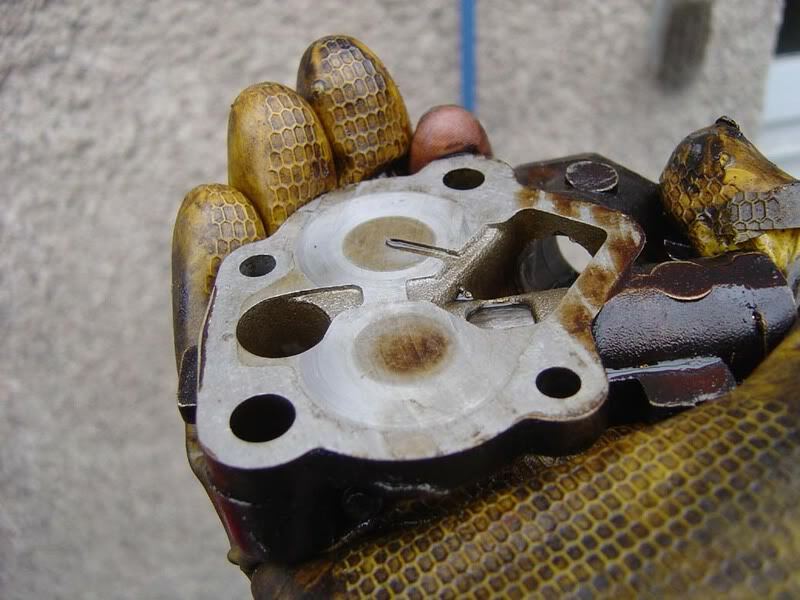 The filter would otherwise go on dry and, although it would fill almost instantly, there would be a small delay where the fresh oil is pumped round the engine. 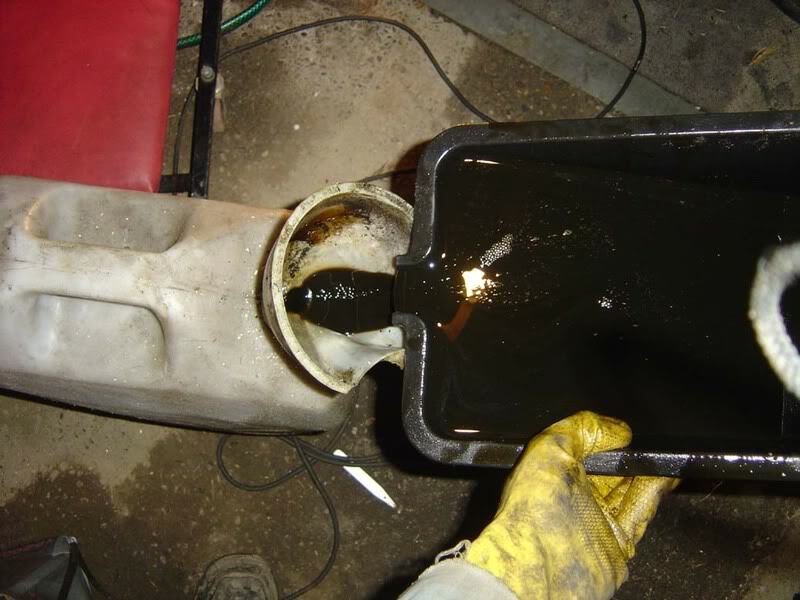 Due to the fact the filter is mounted vertically you aren't going to be spilling oil everywhere either so it probably is worth doing. 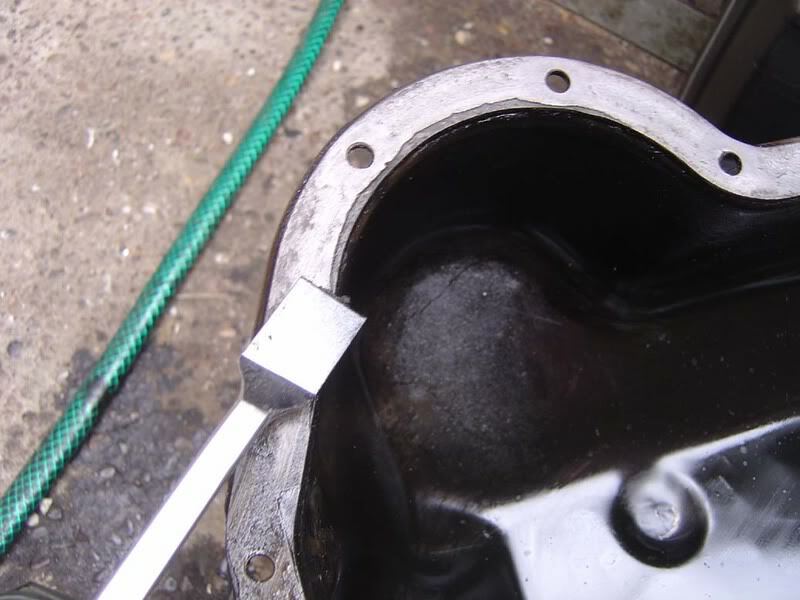 Step 46 - Now refit the filter to the block and screw it hand tight. 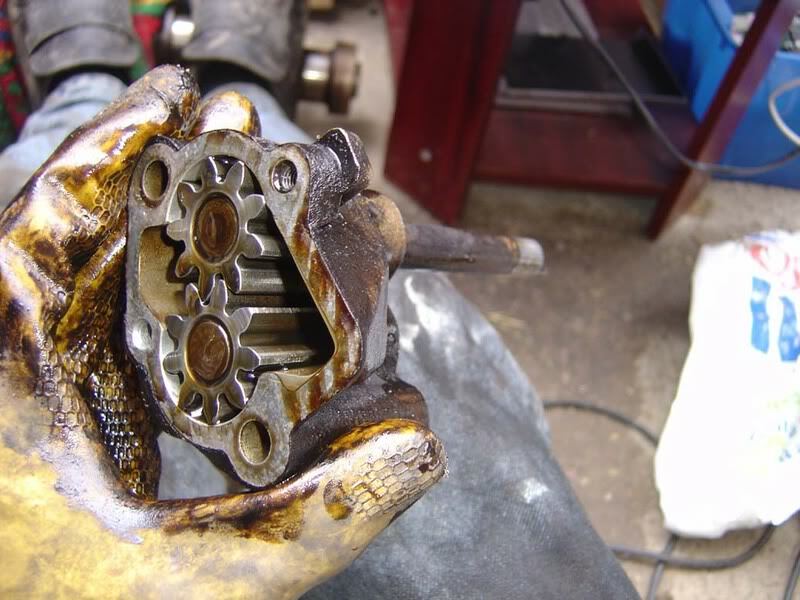 Don't go crazy here, you'll just regret it next time. 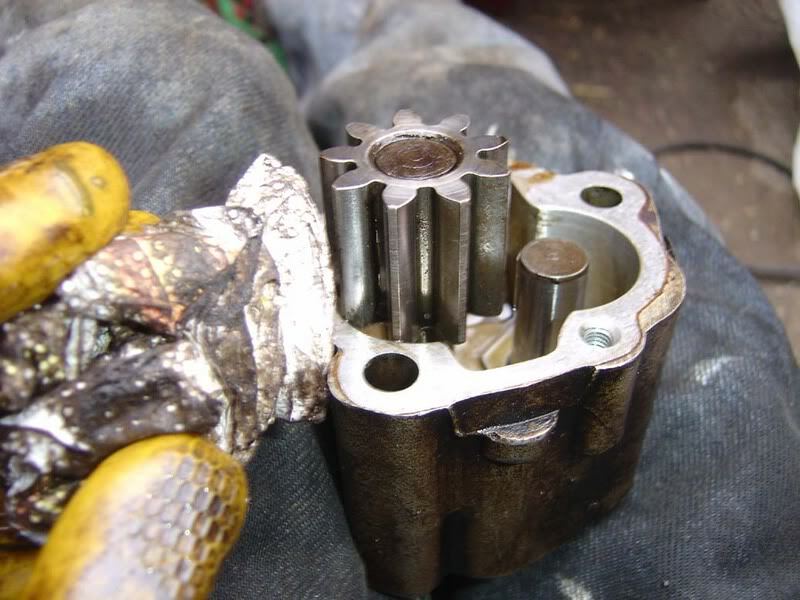 Rotate it until it 'bites' and then giev it about a turn just to seal the filter in place. 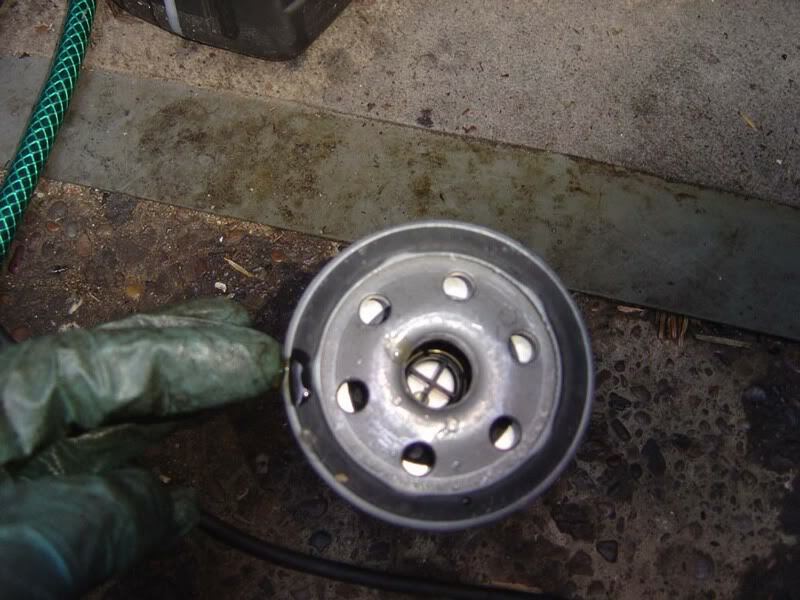 Step 47 - Replace the copper washer and then tighten the 19mm sump plug. 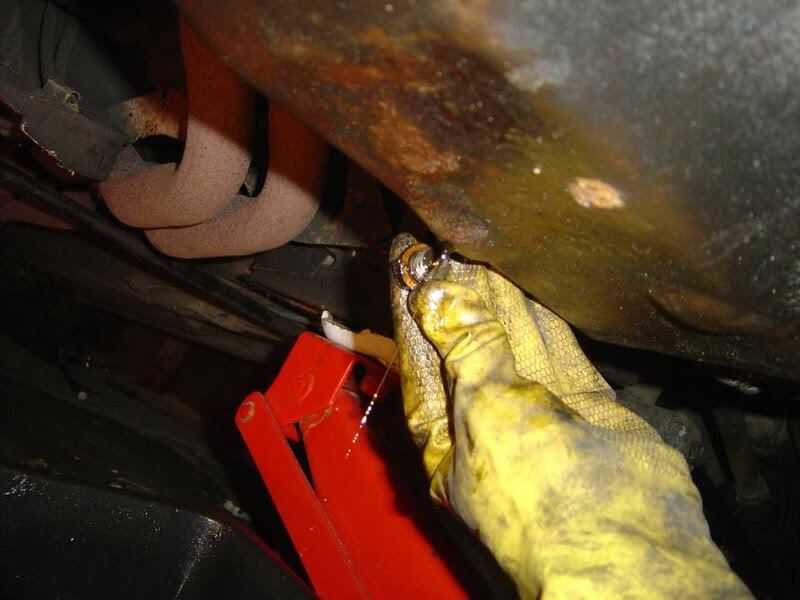 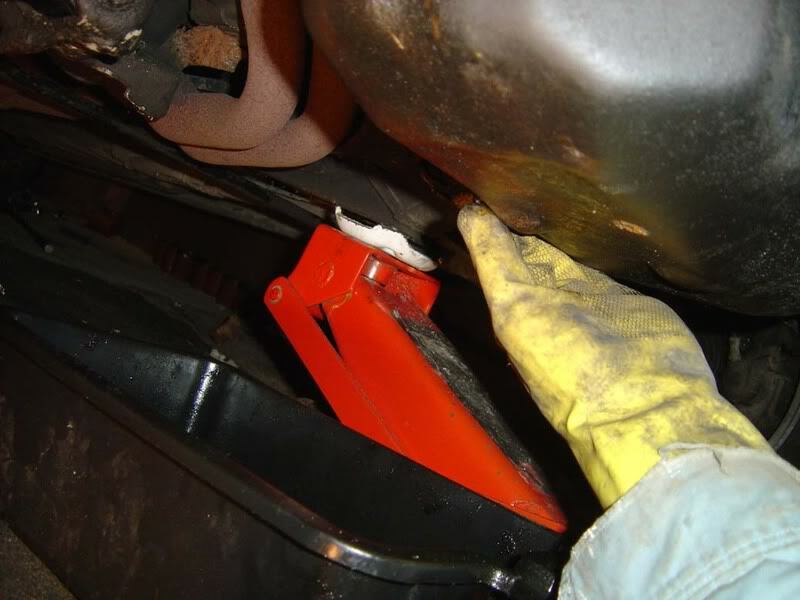 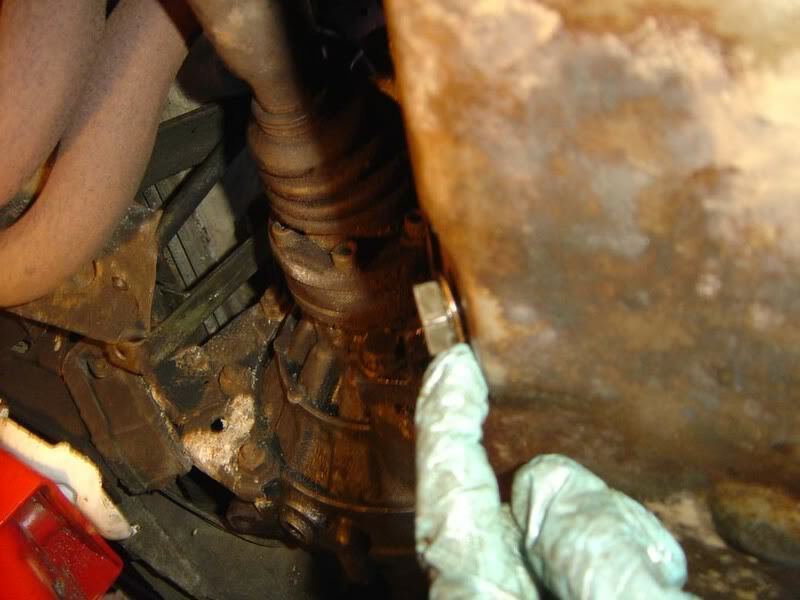 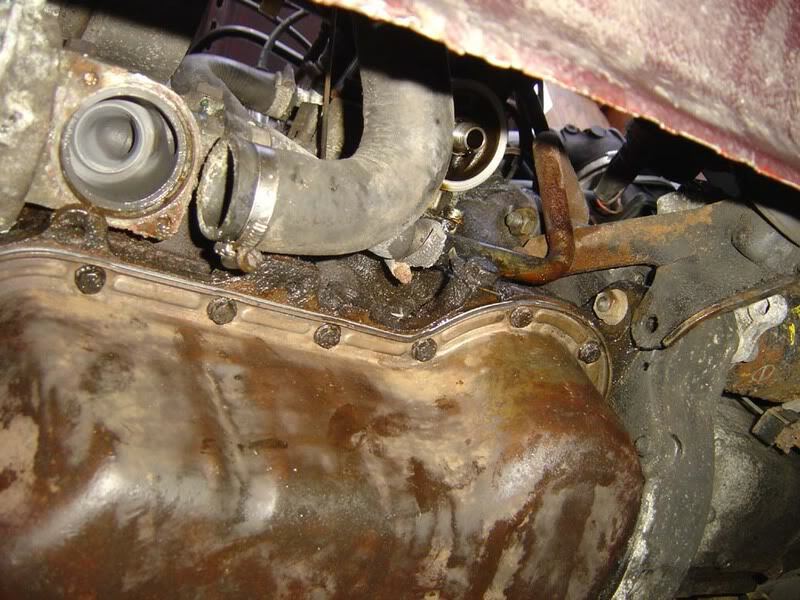 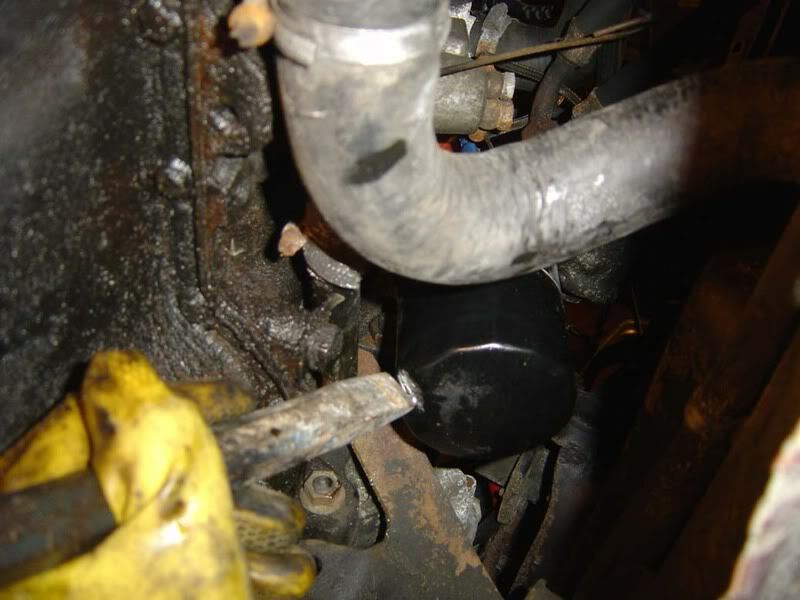 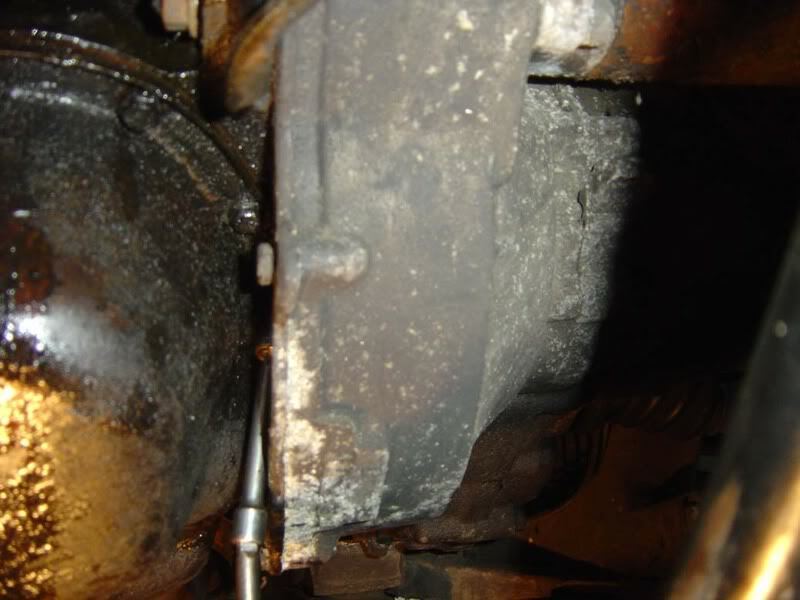 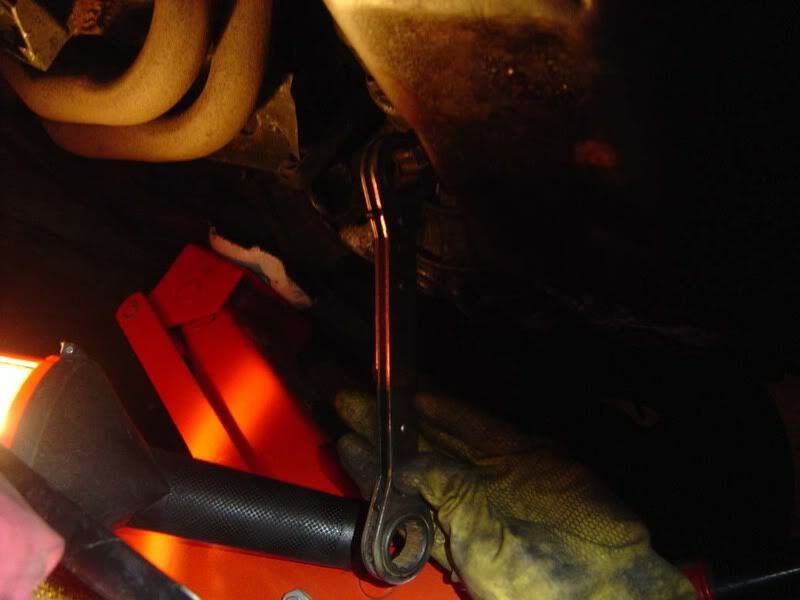 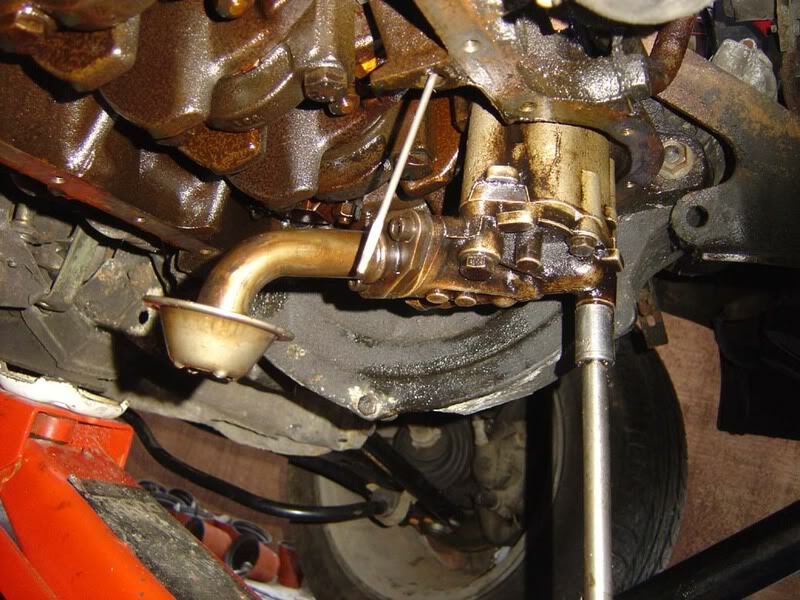 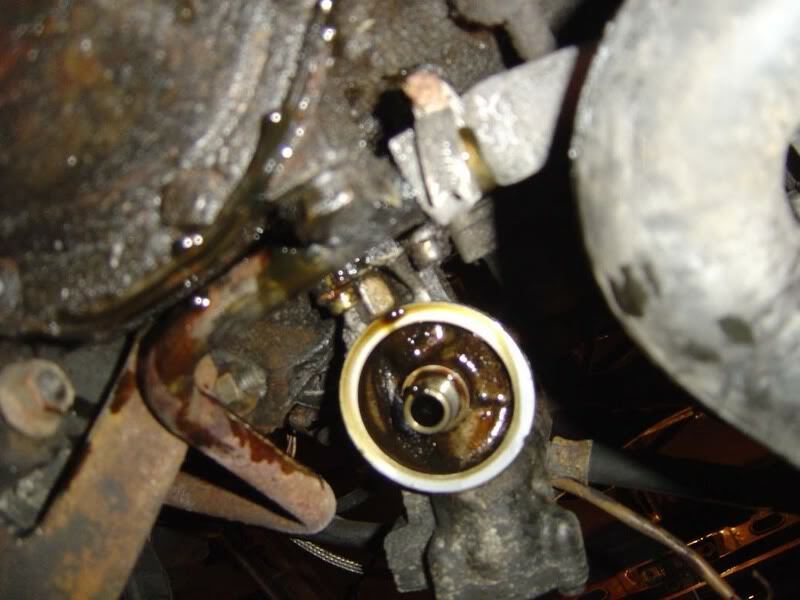 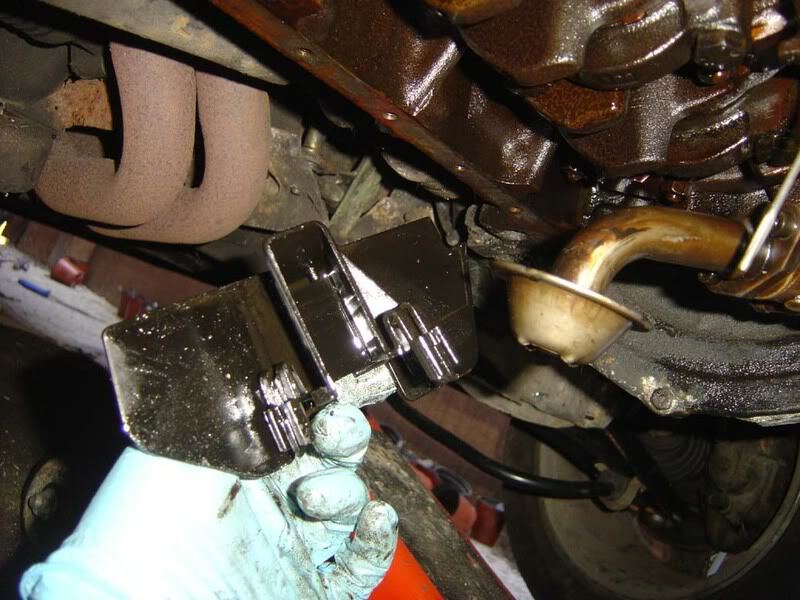 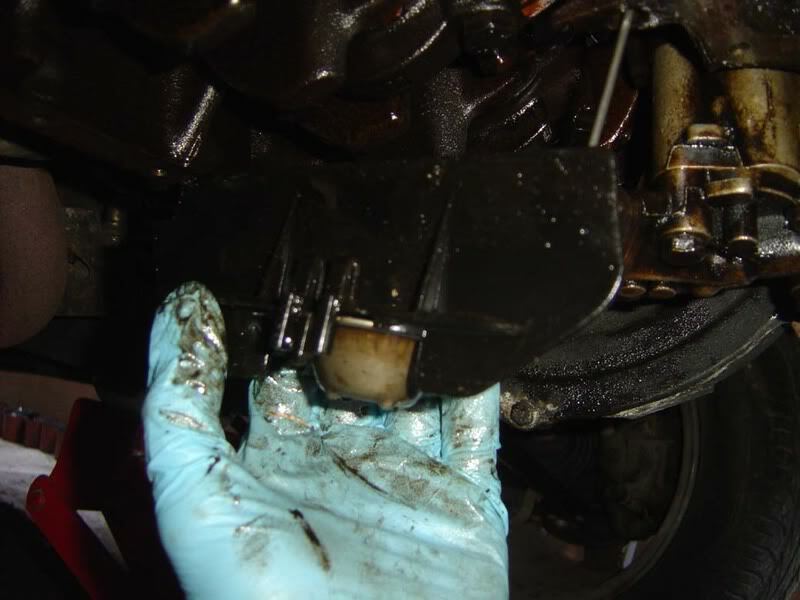 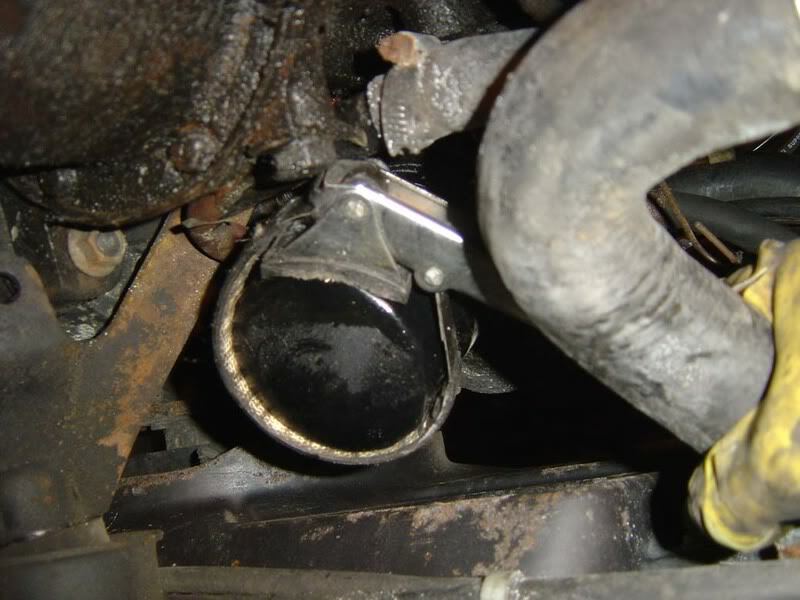 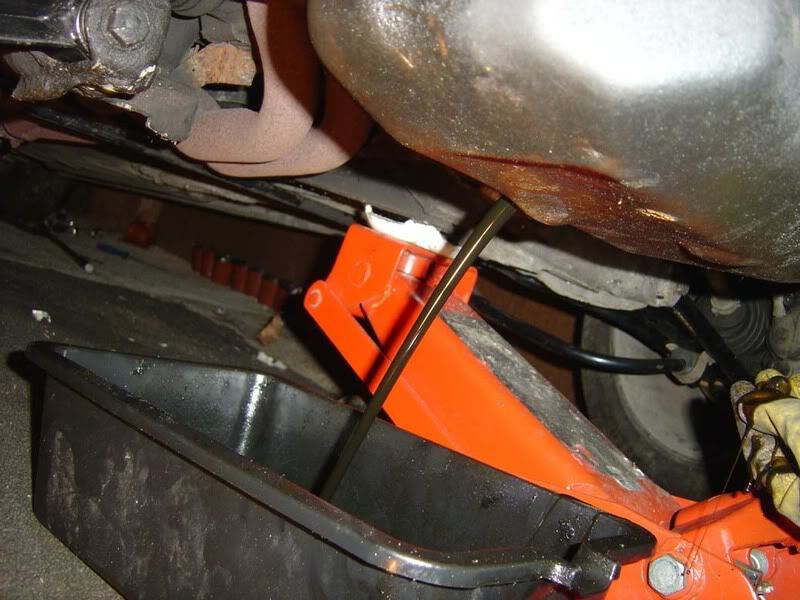 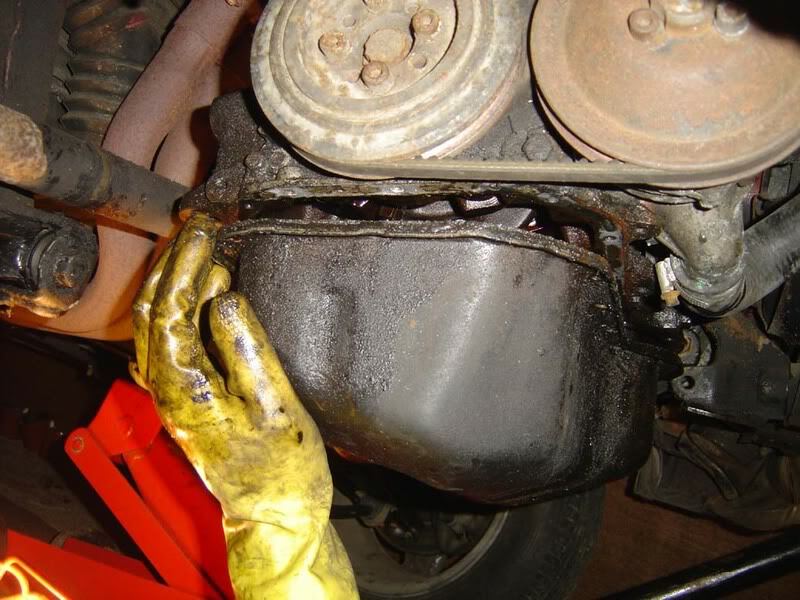 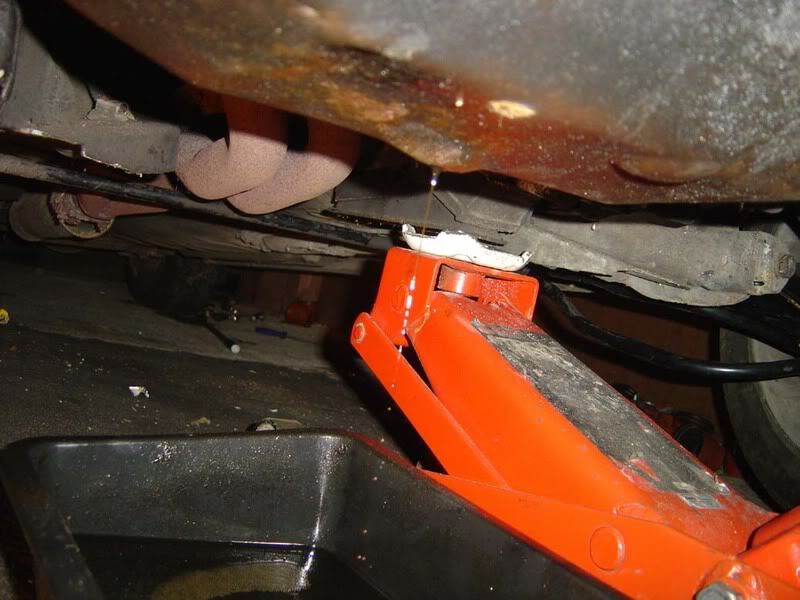 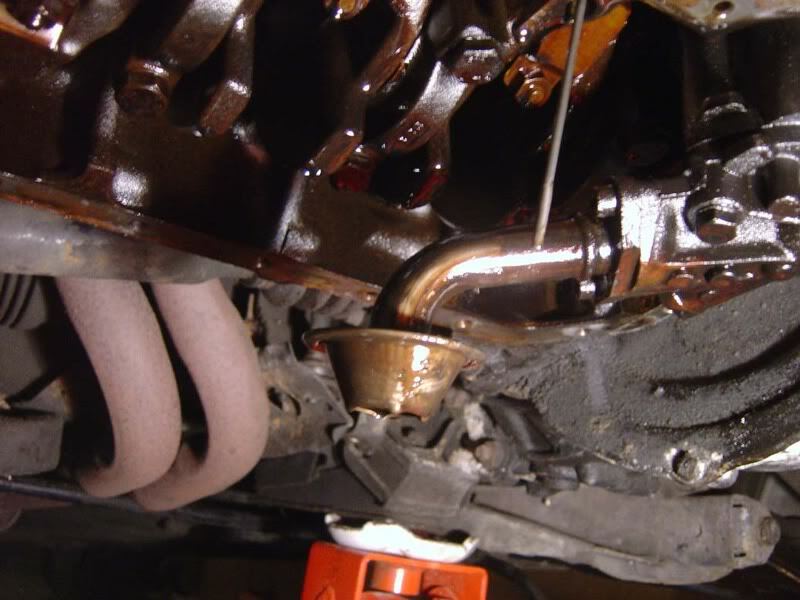 The copper washer deforms to form a seal and should be changed on each oil change. 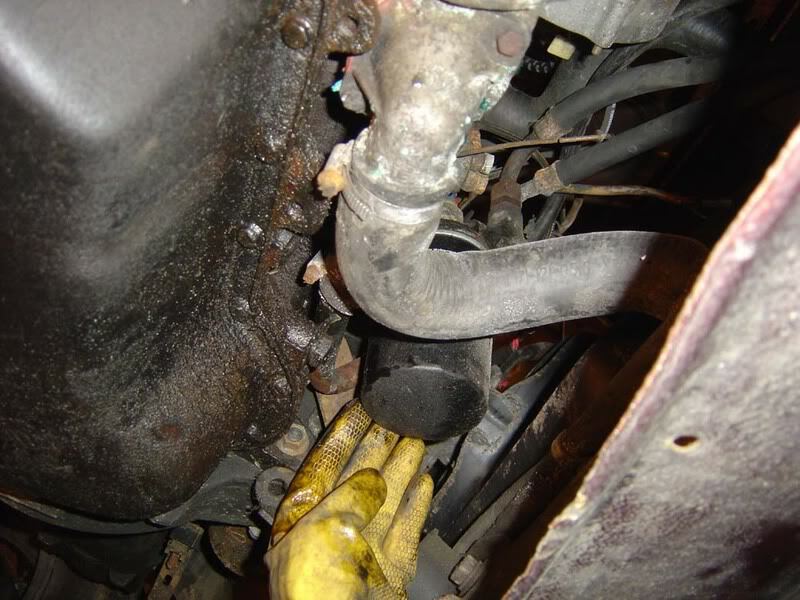 Step 49 - Once you've finished, double-check everything is in the right place and you've not left any spanners in the engine bay etc before firing the car up. 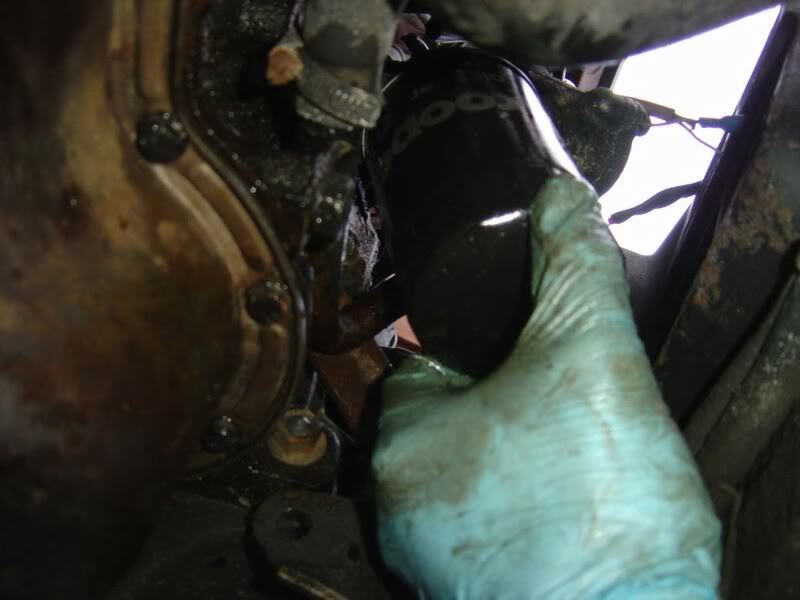 Let it run for about 30 seconds while you check for leaks (sump plug, oil filter or sump itself if you removed it - if you find any leaks, tighten the offending part), then take it out for a very brief spin. 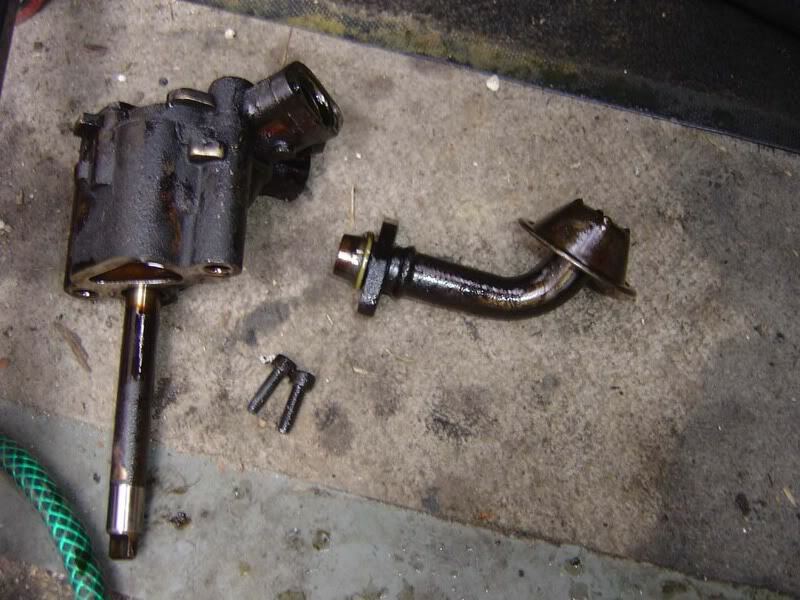 When you get back, check again for any drips and then you've finished. 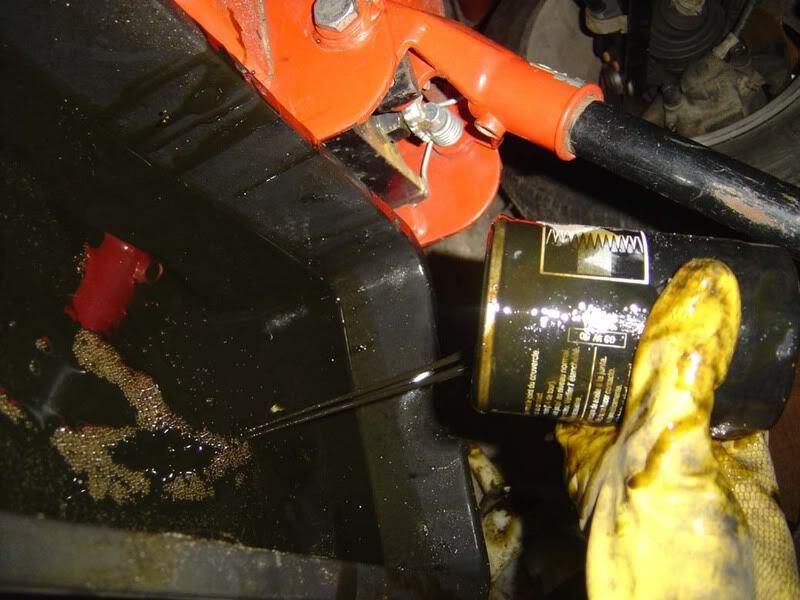 It's wroth keeping your eye on the oil level for a couple of days and giving it another check for any signs of leakage, better safe than sorry.